Is it really necessary to go abroad for having dental implants? The most obvious advantage of getting dental implants overseas is the reduction of cost. However, you should also consider the expenses involved in flight tickets, accommodation and transport. Also, you cannot get back to your work for at least two weeks. By undergoing the procedure in Australia, the overall price to be paid is straightforward and you need not be worried about any hidden costs. It is possible to receive high quality care at cheaper rates in foreign countries. There may be many ethical dental care providers in those nations who offer good services akin to the developed countries. But you cannot be sure if you are about to visit one of such professionals. It is foolish to presume that all clinics would follow the same principles. On contrary, you can be absolutely sure about the quality of treatment that you are about to receive for dental implants in Australia. In some cases, use of lower quality materials enables the dentist to rate cheaper. It is more likely that the quality of the materials used for the dental crowns, bridges and dental appliances are not the same as in Australia. The clinics in Australia maintain high standards of quality to offer best services to the patients as regulated by the government. You cannot expect the same standard in the developing countries. Ask yourself what happens when something goes wrong with the dental implant procedure. Even if you are willing to fly all the way back to a long-distant location, your legal rights as a foreign patient are always questionable. Moreover, it is not permissible to file any lawsuit against a foreign practitioner in Australia. There are clinics that offer affordable dental implants in Australia. They are able to offer lower than average rates with proper planning and the required expertise. 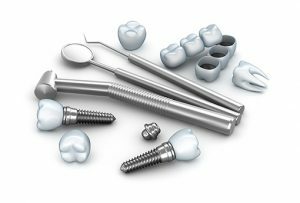 If you are satisfied with your previous dental implant procedure and would like to do remedial works in Australia, it would be much more expensive. Weigh both the pros and cons thoroughly before taking an adventurous towards dental tourism. Compromising your dental health for saving a couple of thousand bucks can cost you more, not just in terms of money.